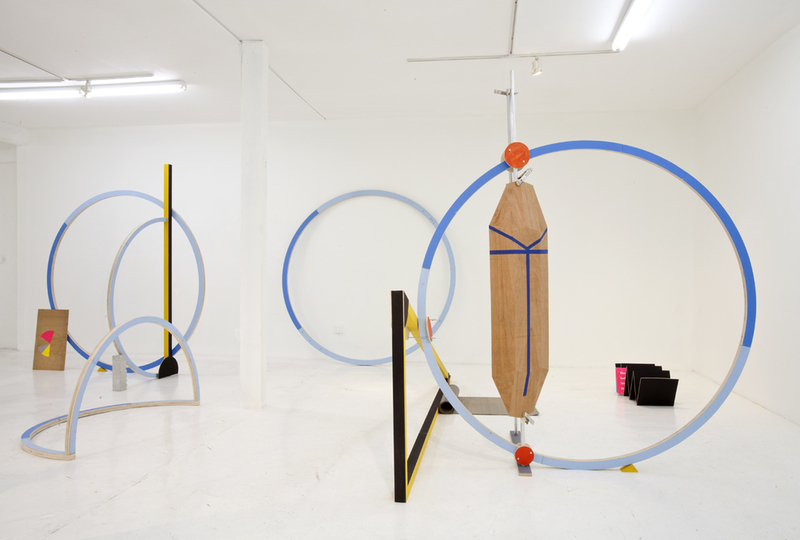 2012, mixed media, dimensions variable. 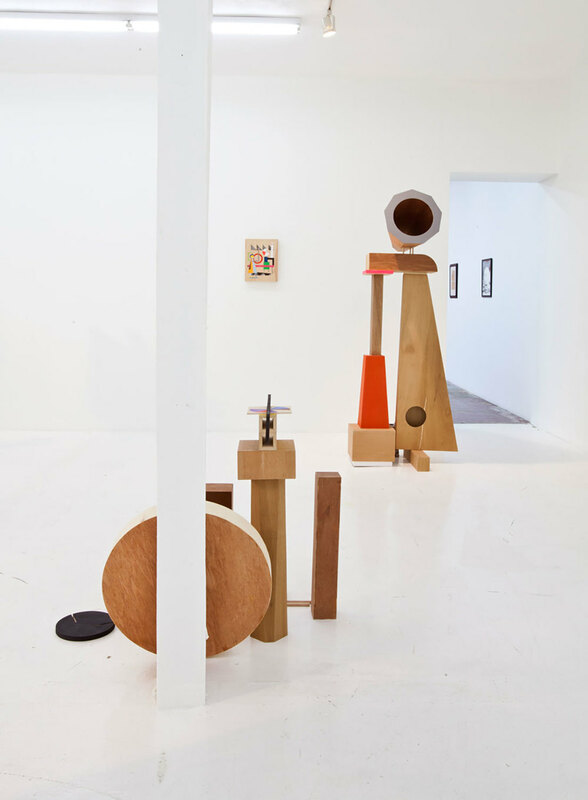 Installation view, Gallery Diet, MIami. 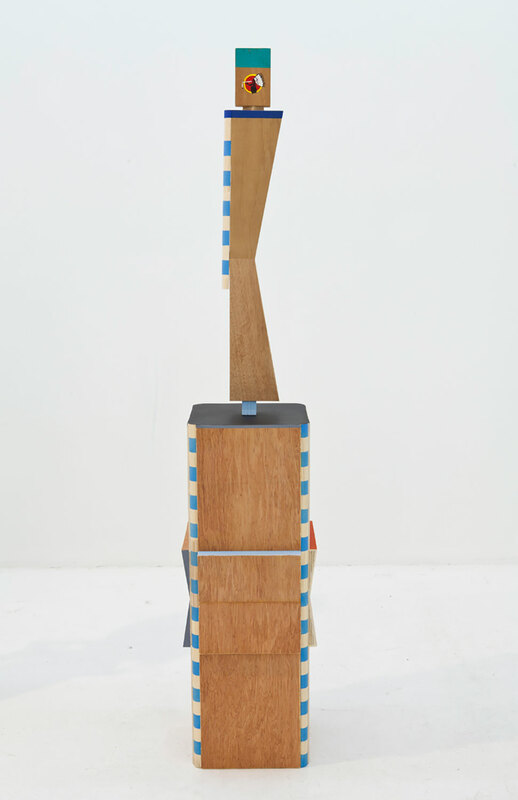 2012, wood, aluminum, acrylic paint, 79 x 34 x 21 inches. 2012, wood, acrylic Paint, 49 x 9 x 29.5 inches. 2012, wood, acrylic paint, 70 x 13 x 13 inches. 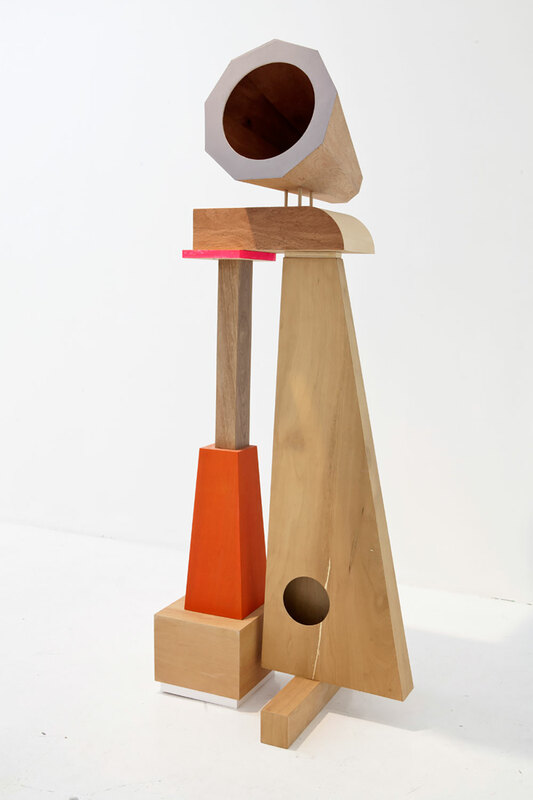 2012, wood, aluminum, concrete, acrylic paint, 71 x 15 x 13 inches. 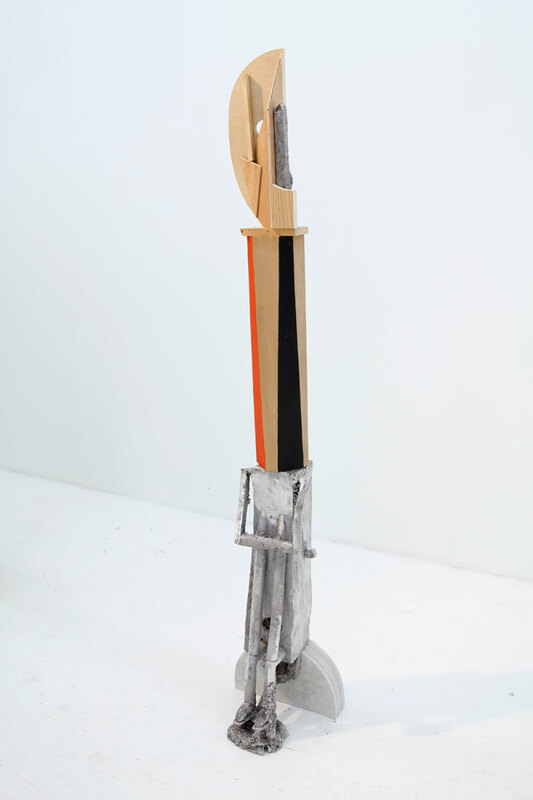 2012, fiberglass, wood, acrylic paint, 49 x 14.5 x 9.5 inches. 2012, wood, aluminum, concrete, epoxy, acrylic paint, cassette boxes, 56 x 12 x 9 inches. 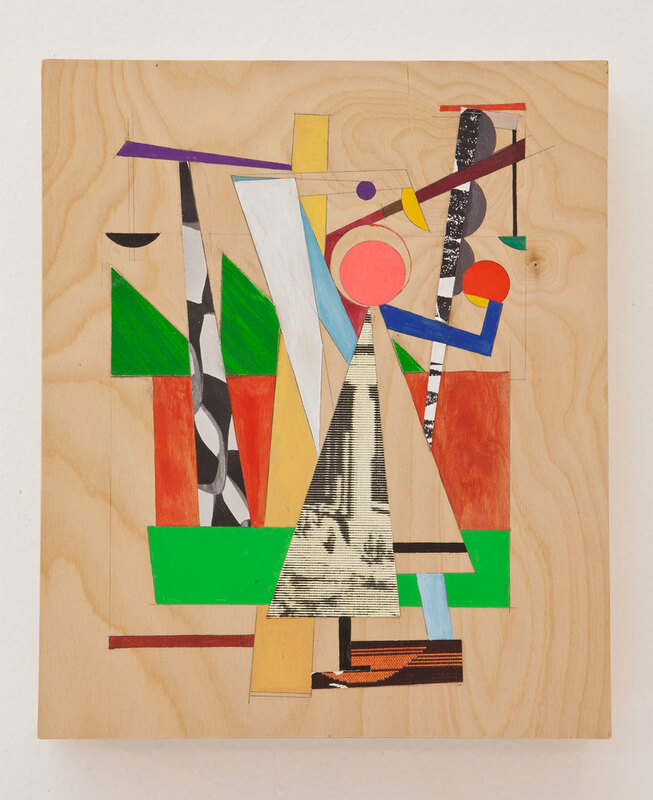 2012, gouache collage on wood panel, 15 x 11.5 x 2.5 inches. 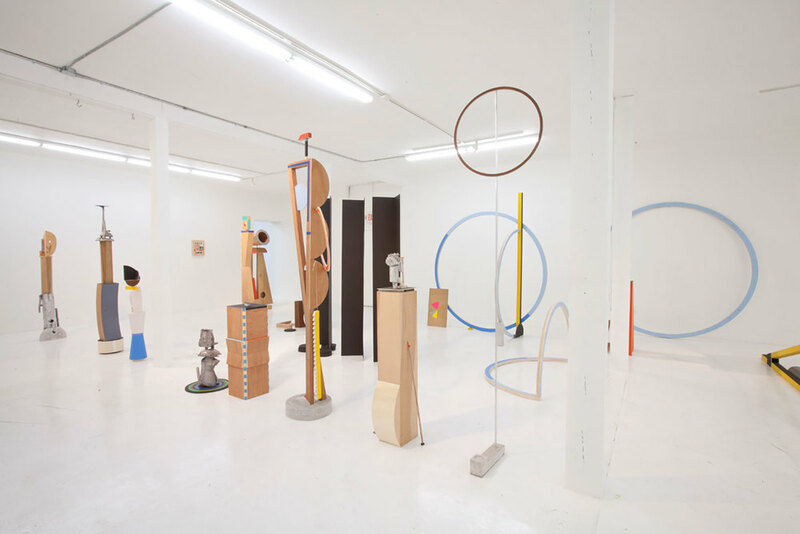 "The Gravediggers," a series of geometric, quasi-figurative sculptures, alongside a number of collages on wood, presented in 2012 at Gallery Diet in Miami. The Working Day, Gallery Diet, Miami.